to Android and apple iphone IOS. 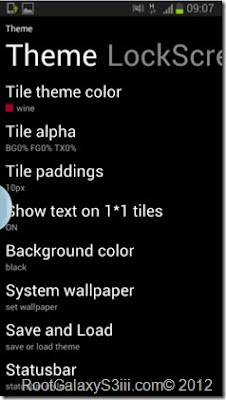 Windows 8 Phones home srean has colorful animated squares and live tiles. home sreand was dsingned for easy user get the important and lauch any application on home srean. 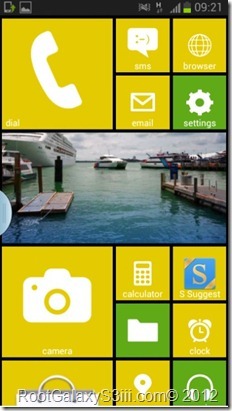 so do you want to try to use the new windows 8 laucher on your GalaxyS3 and Galaxy Note 2. There have lot of windows 8 Laucher avalible download from Google paly Store. I have download and try some of the Windows 8 Laucher that avalible from Google paly Store. 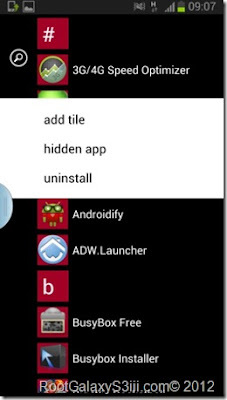 Finally ,I have found and I think is the best windows 8 laucher to instal on my samsung Galaxy android phones. 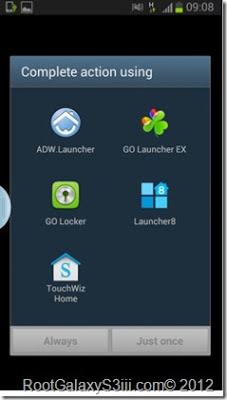 this application launcher is fre and the designed,setting ,navigation style is completely same windows 8.
yes,it sem clone from windows 8 and you ill fel that your phones now is running windows 8. Here is the tutorial how to setup windows 8 Launcher for Galaxy S3 and Notre 2. 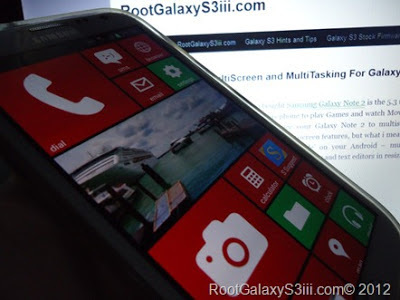 0 Respones to "Instal windows 8 Loucher For Galaxy S3 and Note 2"